Let’s start by focusing on the positives: commercial cat food is a blessing! It gives us convenient and affordable options for giving our cats the best life we can give them. Without commercial cat food, we’d be forced to make our own food, or let our kitties run free outside to catch mice and other critters. I recommend a lot of really great cat foods, and most of them are “commercial” options. However, I’ve come across a lot of ingredients in some lower-quality cat foods that just aren’t something I’d ever want to feed my cat. You see, since releasing a full database of cat food information and ratings to compliment our our “best cat foods” page on my new website, Catological.com, I’ve been neck-deep in cat food analysis. While it’s been eye-opening for me, allowing us to give really high-quality recommendations to our readers, I’ve also been exposed to the “dark side” of the industry. The pet food industry is what I’ll call “loosely” regulated. The FDA has rules and AAFCO publishes guidelines. But, between rendering plants, low quality ingredients, and foods made internationally, there’s a lot of questionable practices conducted by pet food distributors that may surprise you. Let’s examine a list of 15 ingredients that should send up red flags when reading a commercial cat food label. These ingredients are not necessarily bad or harmful to cats. In most cases, however, extended exposure seems likely to increase the risk of a negative side effect. I suggest keeping this list handy so you can make better informed decisions on your next cat food purchase. Used as an artificial preservative in food. BHA is “reasonably anticipated to be a human carcinogen,” according to The National Toxicology Program of the Department of Health and Human Services (source). While it’s labeled as being safe in low doses, it has been shown to cause tumors in lab animals. A little BHA every now and then is unlikely to harm to your cat. But, BHA adds more health-deterioration risks to your cat’s well-being than necessary. This is especially the case if your cat is eating BHA every day. There are better, natural alternatives to preserving your cats’ food. Added to some foods to help give it a richer color. There is no reason for a cat food to be colored, except to make it appeal to cat parents. Your cat does not care what color their food is. Since it is 100% marketing gimmick, it is unnecessary, and usually the sign of a cheap cat food. Many coloring options, including caramel, are potential carcinogens (source), or otherwise potentially harmful for your cat. A red seaweed used as a thickening agent. Carrageenan is a controversial ingredient because one of its forms is a potential carcinogen, called degraded carrageenan. 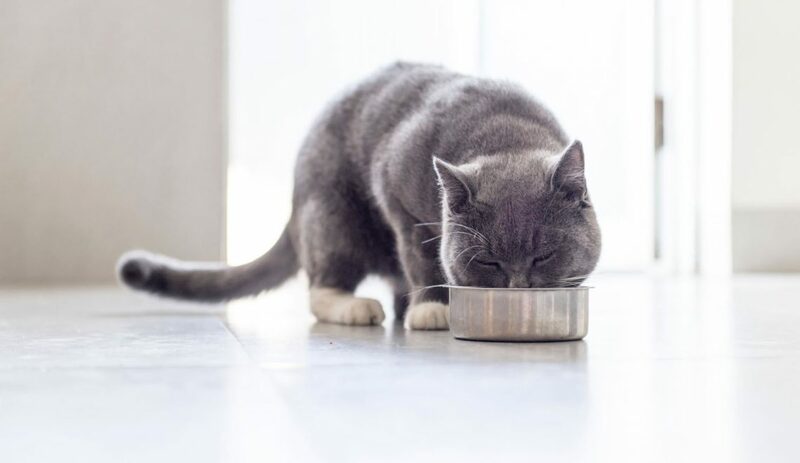 While the degraded form is not used in food applications, some have concerns that it could become degraded once ingested by cats due to their stomach acid; thus, potentially increasing cats’ cancer risk. Carrageenan may be completely fine (some controversial ingredients are only controversial because they’re not well understood), but with so many other options on the market, many people choose not to take the risk. A filler high in insoluble fiber. Too much insoluble fiber can interfere with digestion and inhibit protein and nutrient uptake. The worst part is that it’s typically wood pulp (sawdust) from pine trees. Last I checked, cats didn’t eat sawdust! Cellulose is typically indicative of a lower quality cat food. Glucose is sugar (plain + simple). It is not an appropriate ingredient for felines. Glucose could cause obesity and potentially even diabetes. Dextrose is a crystallized form of glucose. It is typically used in pet food as a sweetener and as an agent to help develop browning (i.e., to make meat or gravy ingredients look better). Dextrose, like most sugars, can be considered a nutritionally unnecessary addition to cat food, and is likely harmful over time. Garlic can be highly toxic to cats. While we are sure cat food companies who add this for the supposed low-dose health benefits have taken steps to ensure a very small amount of garlic enters the food, it is unnecessary. Plus: why take the risk? An emulsifier used in lower grade pet foods. Glyceryl monostearate may contain BHA (covered above) and BHT among other glycerols and chemicals. Because it’s makeup typically contains unknown chemicals, glyceryl monostearate should be avoided. Used to color food and give it a more red, meaty color. While iron oxide in commercial cat food is likely safe, not readily absorbed into the body, and likely non-toxic, it’s fair to say that any coloring additive is questionable. Moreover, iron oxide has not been thoroughly studied as a food additive, so the overall side effects- good or bad- of ingesting it remain unknown. Meat & bone meal is one of those rendered products that could contain anything, from euthanized pets, to zoo animals, to roadkill, to expired meat, and even the styrofoam wrapper it comes in. I know this may sound startling, but there’s some alarming information about the meat that goes into these “meat & bone meal” ingredients at the rendering plants. If you’re not squeamish, and want some more reading on this topic, here are a few resources. This means is that anything left over on the carcass after the good, human-grade cuts of meat are removed, gets thrown into a vat and processed. Since it just says “meat,” and not chicken or beef, you have no idea what’s actually in it. The rules surrounding ingredient labeling on pet food allow for less-than-ideal animals to be used in pet foods (see the links above). Like meat & bone meal, meat by-products come from rendering plants that claim to use “4-D” animals as ingredients (i.e. dead from means other than slaughter, like diseased, dying, disabled, and even euthanized pets). Whether you consider “by-products” a good use of otherwise wasted animal matter, or a just a poor-quality ingredient, there’s no arguing with the fact that unnamed animal products can be bad news. You will usually find a number after the color, like Red 40, for example. A little food coloring isn’t going to hurt, but it’s been linked to issues like hyperactivity in children and even containing a carcinogen. As mentioned above, there is no reason to add color to cat food. Even if the risk is tiny, food coloring is still absolutely unnecessary. A color and maybe flavor enhancer for meat. Upon entering a cat’s body, sodium nitrate may become a carcinogen (source). 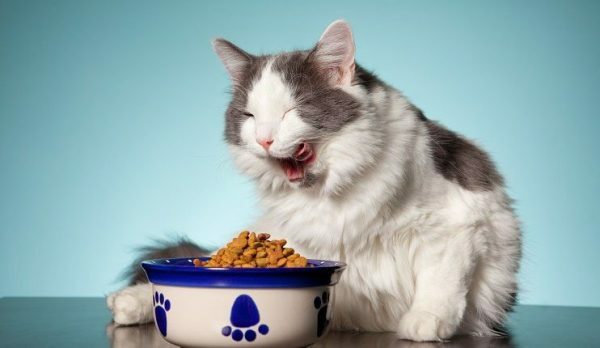 Whatever the case, flavor and color enhancing ingredients, like sodium nitrate, are completely unnecessary for cats to consume, whether commercial cat food or treats. Sodium nitrate is also claimed to be a botulinum controller, but many countries do not use this as an ingredient in their cat food for this purpose. Allegedly used as a rancid meat preservative, and used “to help moist foods to retain moisture so that they appear fresher for longer” (source). It’s also a dental additive, used to reduce calcium build-up. A potentially carcinogenic artificial color used as white pigment. Nanoparticles from titanium dioxide have been found to cause breakdown in chromosomes when ingested. This can cause DNA damage, inflammation, cancer, and genetic disorders in animals. It’s a popular ingredient in a vegan diet, because you can use it to make a high-protein, meat-like food called seitan. As an ingredient in a cat food, though, wheat gluten misses the mark. For the most part, wheat gluten is used to boost the crude protein numbers, without having to add more meat (meat is expensive for manufacturers). In fact, when you see chunks of “meat” in a low quality food, it is often just chunks of wheat gluten. Don’t panic. Exposure to one or multiple of the ingredients listed above is unlikely to cause your cat issues. But, I would argue that constant exposure to most of the ingredients on this list increases the risk of your cat having health issues. There are other ingredients that can be used to make good quality cat food, and the ingredients listed here are typically unnecessary, as they’re only used to keep manufacturers’ costs down. I recommend finding a cat food that is mostly made out of meat with few or no filler ingredients. Look for high protein, moderate fat, very low carbohydrate options. Foods like this are close to what cats eat in the wild, and it’s what their bodies are adapted to eating, since they are obligate carnivores. Emily Parker is a proud cat parent to two black kitties - Gus and Louis. Gus only has one eye, but that's why she had to adopt him! 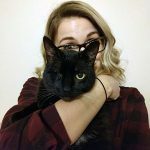 She is the Content Manager at Catological.com, where she helps over 200,000 cat parents love their cats better every month with research- and fact-based articles that dig into the important issues cat parents need to know to raise happy, healthy cats. When she's not writing for Catological, she loves exploring her neighborhood for new (cat) cafes.